It was only a matter of time that Dr Jart did cushion makeup! For Fall 2014, Dr. Jart BB Bounce Beauty Balm makes and appearance in two shades with a unique cushion-y compact that give you a flawless complexion in a snap! Dr. Jart BB Bounce Beauty Balm ($48) brings together a beauty balm featuring a moisturizing formula and brightening properties together with a cushion makeup design. The unique sponge compact features and SPF 30 and gives skin instant firmness, a skin evening finish, and conceals imperfections and larger pores with a formula enriched with hybrolyzied collagen to tighten skin and improve elasticity. Like all cushion makeup, this comes in a chunky compact featuring a rubber sponge for application and a generously sized mirror. It actually isn’t a traditional cushion makeup as the product is applied via a mesh covering versus a sponge saturated in color! I’m excited about the launch but I find Dr Jart shades aren’t all that good for me. The medium is typically too dark and the light is too pink toned le sigh! But I’m still curious to try it out none the less. Everything’s gotten so bouncy lately lol! Sorry to be so off topic but have you seen that Bounce Cheese Cream moisturizer Muse? Just the name gives me the creeps. I don’t want stretchy mozzarella on my face. Snail slime, fine. But no cheese! I’ve read good things about these, even though I’m not a compact kinda gal. 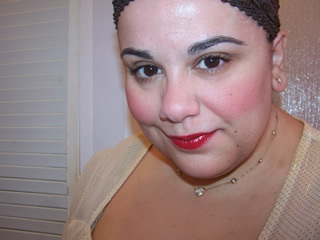 I’m wearing the Dr. Jart Water Fuse BB today and its one of my favorites. This does sound handy for summer, to throw in your purse or beach tote. I’ve heard the wear time is iffy and does requires touch ups. I’m sort of grossed out by this packaging…it seems like it would encourage bacterial growth and whatnot. Plus, it appears that you aren’t getting much actual product for the price. i think the mesh overlay prevents the bacteria issue as it isn’t an actual sponge, it’s a creamy liquid with a mesh over it…but really it’s like any other compact makeup. aw sorry this isn’t for you than chica! Hi! Is the light-medium the same shade as Dr. Jart+ Premium Beauty Balm light to medium? Or is it more yellow, like the BB Radiance? Thanks!